Hon. F. Dennis Saylor IV was appointed as United States District Judge for the District of Massachusetts in 2004. Before his appointment, he was a member of the Boston law firm of Goodwin Procter LLP. He served as an assistant US attorney in the District of Massachusetts from 1987 to 1990 and as special counsel and chief of staff to the Assistant Attorney General–Criminal Division of the US Department of Justice in Washington, DC from 1990 until 1993. He is a graduate of Northwestern University and Harvard Law School. 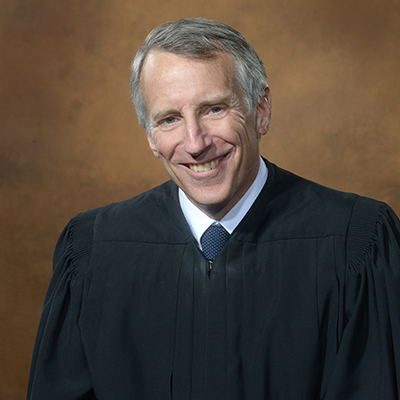 Judge Saylor presided over the Central Division in Worcester from 2004 to 2012, when he was reassigned to the Eastern Division in Boston. In 2011, he was appointed to a term on the Foreign Intelligence Surveillance Court. He served on the Committee on Defender Services of the Judicial Conference of the United States from 2009 to 2015. 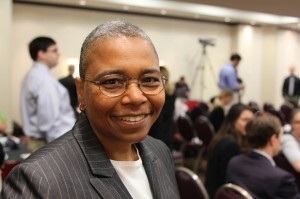 Professor of government and technology in residence at Harvard University, Editor-in-Chief of Technology Science, director and founder of the Data Privacy Lab, former Chief Technology Officer at the U.S. Federal Trade Commission and Distinguished Career Professor of Computer Science, Technology and Policy at Carnegie Mellon University, Latanya Sweeney has three patents, more than 100 academic publications, and her work is explicitly cited in two U.S. regulations, including the U.S. federal medical privacy regulation (known as HIPAA). She is a recipient of the prestigious Louis D. Brandeis Privacy Award, the American Psychiatric Association's Privacy Advocacy Award, and has testified before government bodies worldwide. She earned her PhD in computer science from MIT in 2001, being the first black woman to do so, and her undergraduate degree in computer science from Harvard University. Dr. Sweeney creates and uses technology to assess and solve societal, political and governance problems, and teaches others how to do the same. Cocktails begin at 6:00 p.m. and the program and dinner begin at 7:00 p.m. Dress is business attire. Attendance is $200 for dues-paid members // $250 for non-members. Please contact Derek Roller at droller@nutter.com or 617 439 2371 for sponsorship information or a registration form.